An American Samoa resident has raised the possibility that a large piece of wreckage which appears to be from a fishing boat found on a Tutuila shoreline village could be linked to a similar discovery at Vavau Beach in Samoa. 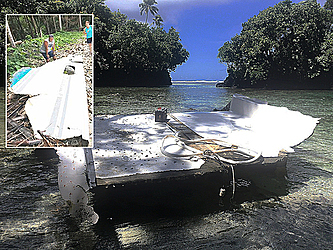 A member of the Gurr family told Samoa News that a large piece of what appears to be from the side of a fishing vessel was discovered on the beachfront of their home in Maloata on Sunday afternoon. 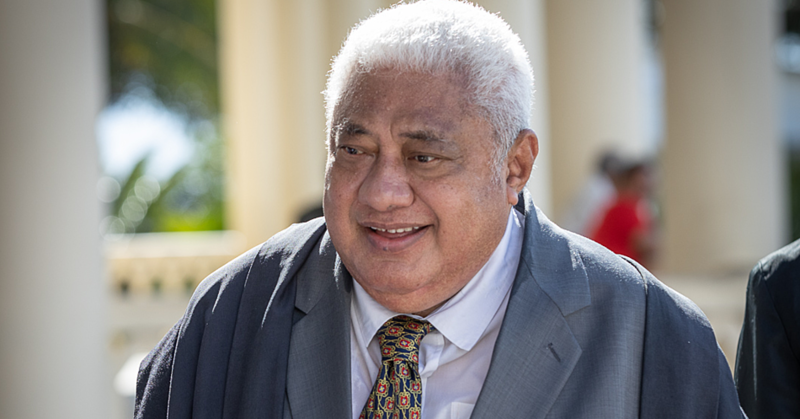 And Samoa’s Police Commissioner, Fuiavailiili E. Keil, who was in American Samoa for the Pacific Transnational Crime Network workshop raised the possibility that it could be “part of a vessel” suspected to be involved in transnational crime. American Samoa authorities were contacted late Monday afternoon for someone to conduct an inspection of the ‘piece of wreckage’. The American Samoa family raised the alarm after a family member read an online story from the Apia-based Samoa Observer newspaper regarding a “massive piece of wreckage” discovered on Sunday afternoon by Phillip Marsden and some friends inside the lagoon of Vava’u Beach, located on the south of Upolu Island. “It’s just very interesting to read the Samoa Observer story, after my family discovered this large piece [of some type of wood or so] that appears to be from the side of a fishing boat,” a Gurr family member told Samoa News. “Maloata is on the north shore of Tutuila on the Western side, while Vavau is on the south shore of Upolu. Whether or not the piece of wreckage found on Tutuila will help provide clues to the mystery in Samoa, it is unclear, but the Gurr family is hopeful that it will be of some help. Of interest is that Fuiavailiili mentioned a wreckage discovered on Upolu during his remarks at Monday’s opening of the weeklong Pacific Transnational Crime Network (PTCN) training workshop hosted by American Samoa. He then noted the need for law enforcement to look at “border control”. Fuiavailiili didn’t identify the Samoa newspaper by name, nor the village on Upolu where the piece of a vessel was discovered. 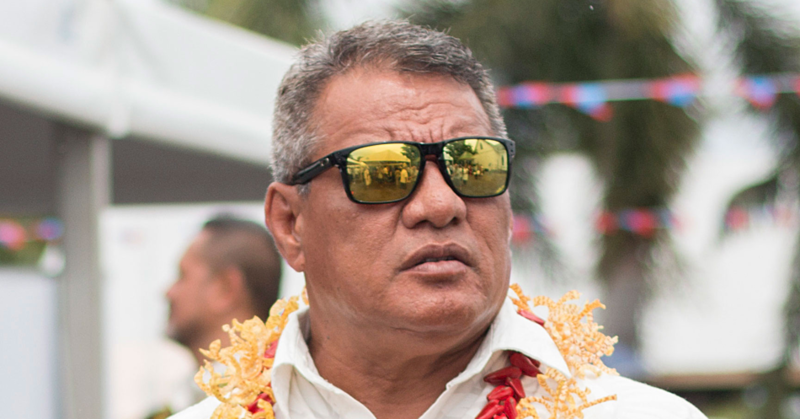 And later in the day during his remarks at the opening of the Transnational Crime Network center in Fagatogo, Fuiavailiili spoke about the “critical importance” of sharing information between the two Samoas. 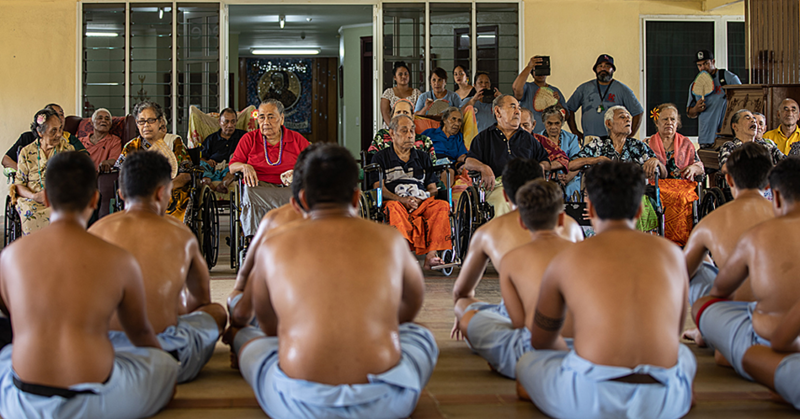 “As a matter of fact,” there was an article in the newspaper about part of “a craft that ended up on the shores... of the back villages [and] we’re suspecting it has something to do with transnational crime — narcotics and so forth,” he said.